The use of engineered floor systems is growing in the UK, replacing traditional solid timber floor joists or concrete flooring. With extensive timber engineering and roof truss experience, Scotts of Thrapston has partnered with Wolf Systems to offer the easi-joist metal web floor system. Easi-joist is a precision designed and manufactured floor system that provides the construction industry with a more cost effective solution. It improves construction efficiency with reduced installation times, less site wastage and long term stability. Scotts manufactures the easi-joist product using stress graded timber which is plated together with precision engineered metal webs. Using the latest design and production technology, Scotts can design and manufacture a complete floor system to suit your requirement and specification. The benefits of specifying metal web joists can clearly be seen in this simple animation, as produced by the Trussed Rafter Association. Open web design, allowing for easier installation of service pipes e.g. cabling, heating and ventilation, plumbing etc. Precise, made-to-measure easi-joists significantly reduce site wastage by virtually eliminating the need for alterations on-site. Lower total installed cost with less installation time and call backs to site. Easier handling on site as the easi-joist is significantly lighter than solid timber joists. Reduces costly on-site fixing as easi-joist is easy and quick to install. The easi-joist system allows for the installation of a rigid strongback that reduces vibration. A wider fixing point offers a more generous surface for fixing plasterboard, chipboard etc. for floors and ceilings. 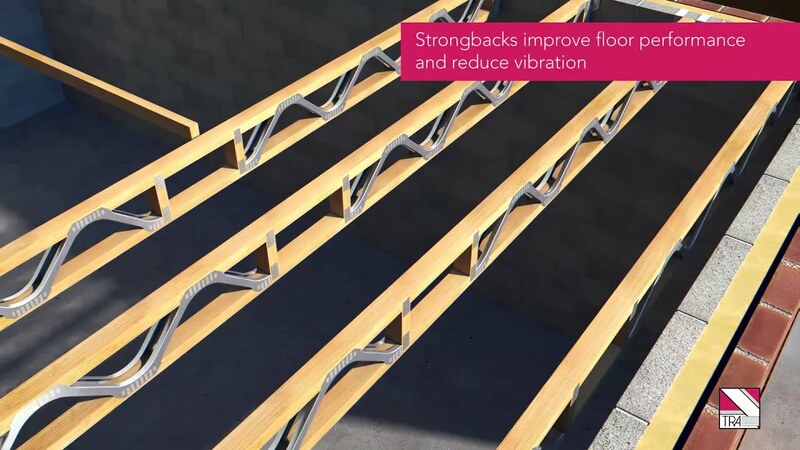 Reduced moisture loss and shrinkage, compared with solid timber joists, provides a quieter and longer lasting floor system. Compatible sizes matching the depths of solid timber joists. Scotts easi-joists can span up to 11m, providing there are suitable internal loadbearing walls, and can be manufactured to the minimum depth required in the standard codes of practice. The size differences are as a result of combinations of timber depths and different metal web sizes. The different web sizes create small and large service throughways within the joist itself, which may also be a determining factor in the joist depth utilised.